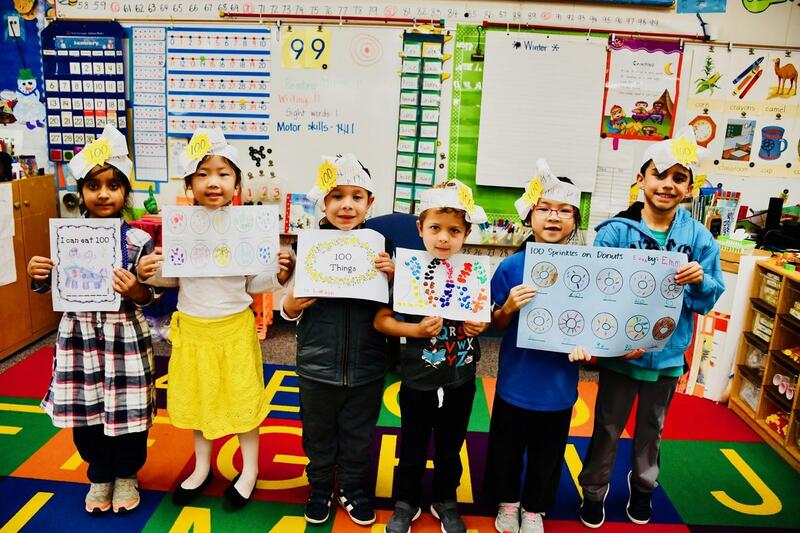 DIAMOND BAR, CA—Evergreen Elementary kindergarteners marked the 100th day of instruction with counting activities, crafts, and creating collection books on Friday. At one table in Mona Warren’s class, the children counted out loud by tens while filling circles with fruit cereal rounds. 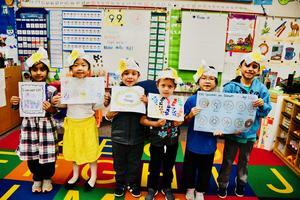 “We like to eat the broken pieces!” shared Mia Chan. 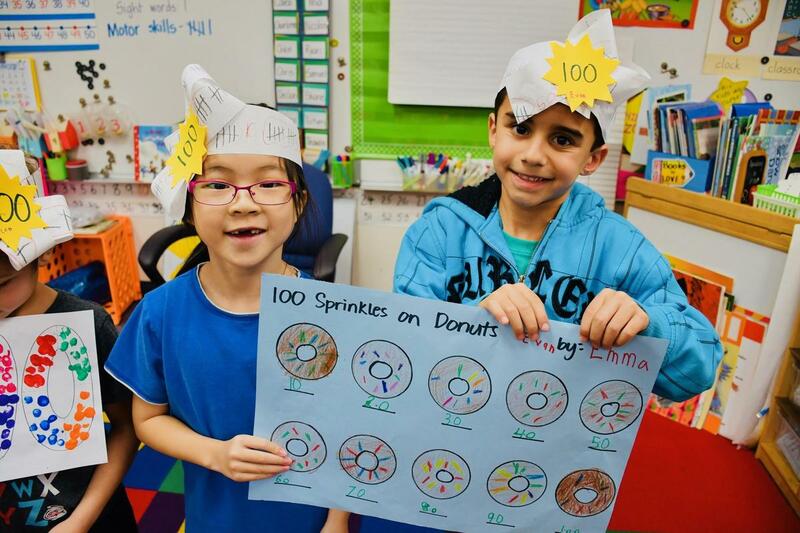 In other lesson centers, the youngsters were making 100 colorful fingerprints, drawing pictures of favorite foods, decorating donuts with 100 sprinkles, filling books with stamps and stickers, and stringing cereal necklaces. 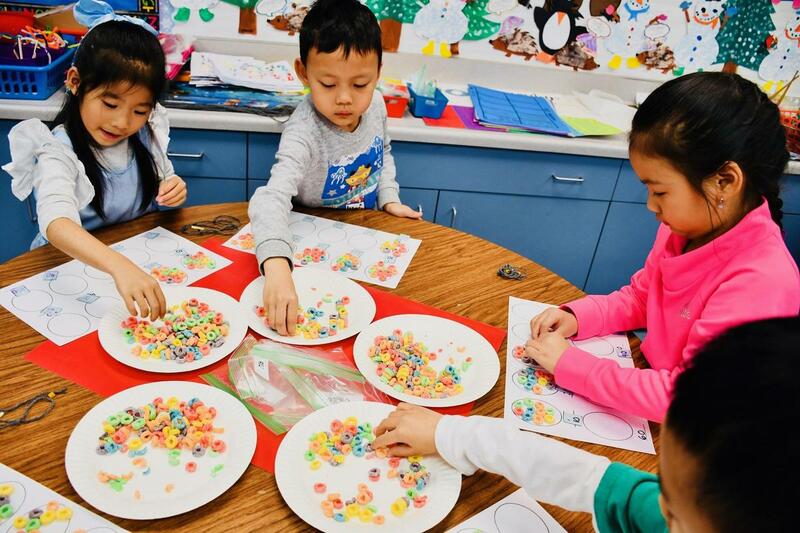 “I could eat 100 pieces of watermelon!” exclaimed Joanna Chung who neatly drew little black seeds on several pieces of the summertime fruit. 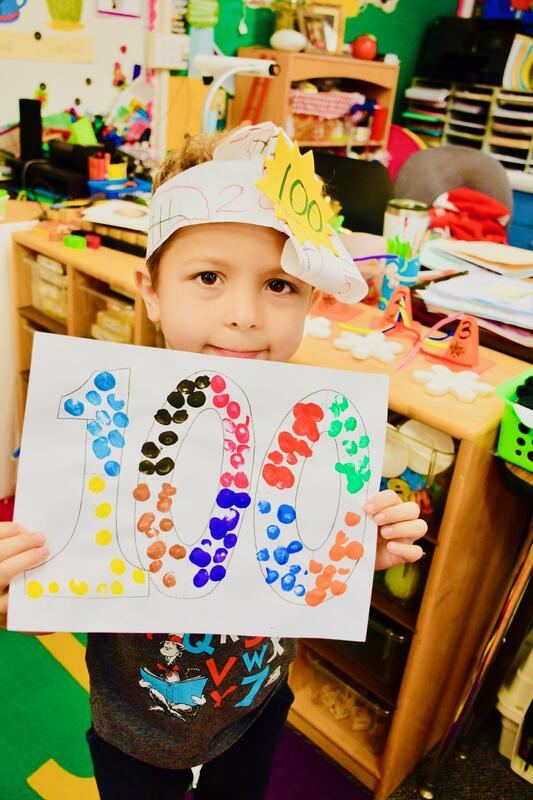 “I liked when we did the sprinkles and coloring!” Evan Fernandez commented as his teacher put finishing touches on the final project for the day - 100thday hats for the students. Let’s Count! 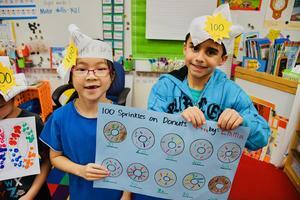 Evergreen Elementary kindergarteners mark the 100th day of school on January 25.